Nuala Whelan is an Irish Research Council Employment-based Scholar conducting research on the effectiveness of Ireland’s labour market policy on the well-being and employability of long-term unemployed job seekers. 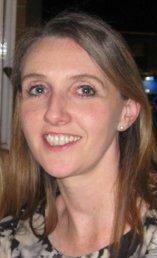 Nuala is the Assistant Manager at Ballymun Job Centre (BJC) and a Registered Work & Organisational Psychologist. She holds a BA (Honours) in Psychology from UCD and an MSc. in Industrial Psychology from the University of Hull, UK. With 18 years’ experience working with clients who are disadvantaged in the labour market, Nuala’s main areas of interest lie in exploring the varying levels of employment service effectiveness, the lack of consistency in approach and the underestimation of the potential impact of enhancing human capacity for development and organisational success. Her research to date has focused on the effectiveness of the employment services in assisting service users to overcome the negative psychological impacts of unemployment, the evidence base against which job support interventions are selected, the impact of the service design on the job satisfaction and motivation of staff, and the perception of employment services within the community. Since 2003 Nuala has been involved in securing significant EU funding through the Lifelong Learning Programme (Leonardo da Vinci strand), EQUAL (ESF) and more recently Erasmus+, and during this time, managed eight applied research projects, each with a two-year duration. Research Interests include psychological impact of labour market policy and its implementation, long term unemployment, Youth unemployment, effective career guidance for disadvantaged job seekers, Labour market Activation models, Community impact, Social Investment, Well-being at work. Ireland’s labour market landscape has changed dramatically, with rapid unemployment growth, changes in labour market policy and institutional reform. With long-term unemployment accounting for 54% of the total unemployment in Q3 2015 (CSO, 2015), effective labour activation policies are imperative to improve employment prospects and, in turn, overall well-being. There is a significant knowledge gap in the psychological literature at both a national and international level on evidence-informed practice in employment services and on using positive psychology approaches and strength-based models, to assist service users to develop sustainable careers and have positive well-being outcomes, thereby having real impact on communities. This research attempts to address this important gap. The EEPIC (Enhancing Employability through Positive Interventions for increasing Career potential) study – which is supervised by Professor Sinead McGilloway (Centre Director) and Dr Mary Murphy (MU Department of Sociology) – is assessing the implementation and effectiveness of Ireland’s labour activation policy, the Pathways to Work Programme, in assisting jobseekers to overcome the negative psychological impact of unemployment, whilst also enhancing their employment opportunities, building career efficacy and improving overall well-being. The study will also assess the impact of the policy on the job satisfaction of frontline employment services staff as well as how the employment services are perceived within the community. A mixed methods/multi-strategy design is being used, including a randomised controlled trial to evaluate the effectiveness of a high support career guidance intervention on the well-being, hopefulness, self-efficacy and employability of the long term unemployed. The ability of labour activation models to moderate the negative impact of unemployment on well-being and increase the employability of job seekers will be explored.